This letter follows the recommendations on the promotion of innovation and research, as well as the development of expertise in sustainable finance, that were formulated in the Luxembourg Sustainable Finance Roadmap. Both parties are committed to developing a framework for collaboration on research and training in sustainable finance in the Grand Duchy. The letter foresees, for example, the development of research projects, as well as training courses and conferences, to develop knowledge, and to increase awareness about climate change and sustainable finance among Luxembourg students and professionals. In addition, the parties will work together to explore the possible establishment of a degree program, which will train specialists in the field of sustainable finance. Finally, the letter invites actors from the financial sector to join the initiative in a later phase and to explore other avenues with the goal to accompany the proposed measures. 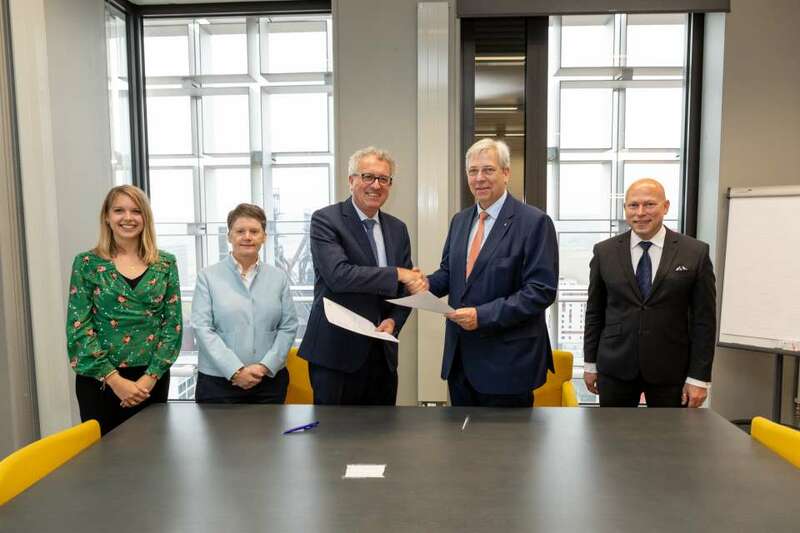 This initiative is also part of the growing will of the government, as well as financial market players, to encourage research in finance and, more broadly, to promote the development of financial education in Luxembourg. Pierre Gramegna said: "The signing of this letter underlines the common desire to strengthen innovation, research and education in the Grand Duchy, in the field of sustainable finance. The proposed measures will not only encourage innovation and help train the talents of tomorrow, but also consolidate the role of the financial centre in the field of sustainable finance." President Stéphane Pallage emphasised: "Green finance and sustainable finance are obvious areas of research and training for the University of Luxembourg, which is dedicated to address major current issues."